Carter Lee co-founded GSID in early 2004, and serves as Executive Director, responsible for the overall management of GSID and oversight of its HIV/AIDS vaccine program. He earned a bachelor’s degree in Economics from the University of California, Berkeley, and a Masters of Business Administration from California State University, East Bay (Hayward). He began his career in public accounting in 1977 with Coopers & Lybrand (now PriceWaterhouseCoopers LLP) where he spent the majority of his tenure in the management consulting division. After leaving Coopers & Lybrand in 1986, Mr. Lee held senior financial executive positions in the corporate branding and strategic design industry before joining VaxGen as its Senior Vice President, Finance & Administration in 1998. At VaxGen, he was responsible for the company’s general operations and played a key role in financing activities, forming the Celltrion manufacturing joint venture in South Korea and establishing the RV144 collaboration with the NIH and the USMHRP. As an infectious disease trained pediatrician and epidemiologist, Dr. Francis has over 30 years of experience in epidemic control and vaccines. He spent 21 years working for the U.S. Centers for Disease Control (CDC) focusing on vaccine-preventable diseases such as measles, cholera, smallpox, and hepatitis B. He directed the WHO’s Smallpox Eradication Program in Sudan and U.P. State in Northern India. His hepatitis B vaccine work included Phase III trials among gay men in the United States and among infants born to carrier mothers in China. Dr. Francis was also a member of the WHO team investigating the world’s first outbreak of Ebola virus in 1976. Dr. Francis has worked on HIV/AIDS since its emergence in 1981. He initially directed the AIDS laboratory at the CDC and worked closely with the Institut Pasteur to identify the causative virus. His early efforts to call attention to the threat of AIDS and warn of the inadequacy of the public health response were chronicled in And the Band Played On. In 1992, he joined Genentech to spend full time developing vaccines, while he also helped found what became the International AIDS Vaccine Initiative (IAVI). With waning private sector interest in HIV vaccine development, Dr. Francis co-founded VaxGen, which completed the world’s first Phase III trials of two candidate HIV vaccines in 2003. 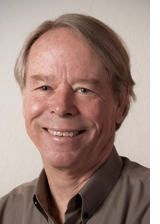 In early 2004, he left VaxGen to co-found GSID with Carter Lee and Phil Berman. Dr. Francis serves as a medical advisor to GSID’s programs and acts as a consultant to several public health organizations and vaccine manufacturers. Dr. Seung-il Shin joined the board of GSID in August 2008. Dr. Shin began his career as a Professor of Genetics at Albert Einstein College of Medicine in New York, and as a founding member of the Basel Institute of Immunology in Switzerland. In 1984, Dr. Shin co-founded and served as the Chief Executive Officer of Eugene Tech International, where he led the company's effort to develop and market a hepatitis B vaccine that was eventually distributed widely in many developing countries. While working as a Senior Health Advisor for the United Nations Development Programme, Dr. Shin conceived, founded, and directed the initiative to establish the International Vaccine Institute in Seoul, South Korea, devoted to the promotion of vaccine sciences for developing countries. 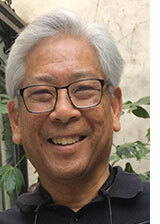 Beginning in 1999, Dr. Shin became the Senior Advisor for International Development for VaxGen. Together with Don Francis and Carter Lee, Dr. Shin initiated the development of Celltrion, a US-South Korean joint venture to provide manufacturing capacity to ensure adequate global supply of AIDVAX vaccine. 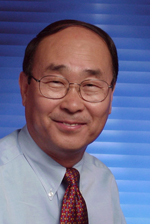 Until 2009, Dr. Shin served as the Chairman of the Scientific Advisory Board and oversaw business development for Celltrion.